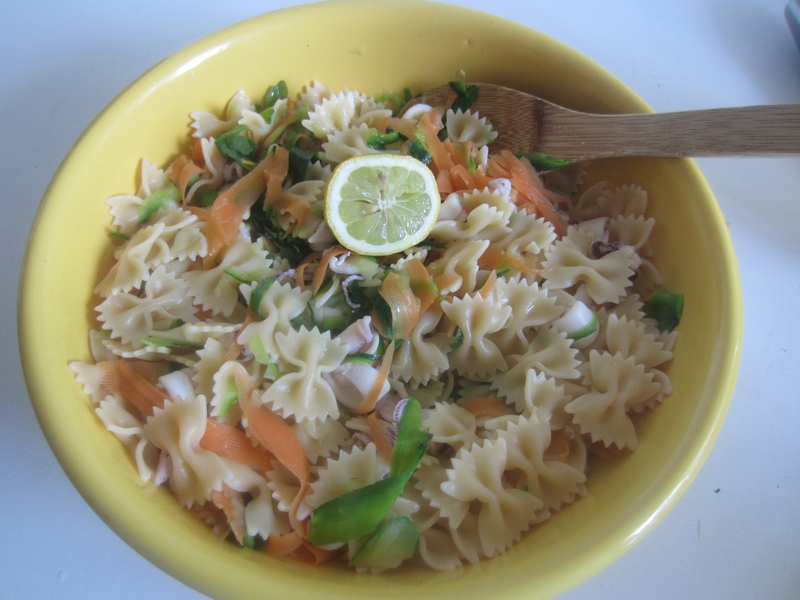 This dish comes from a recipe I found on a cookbook and I adapted adding and removing some vegetables …. the result is delicious. 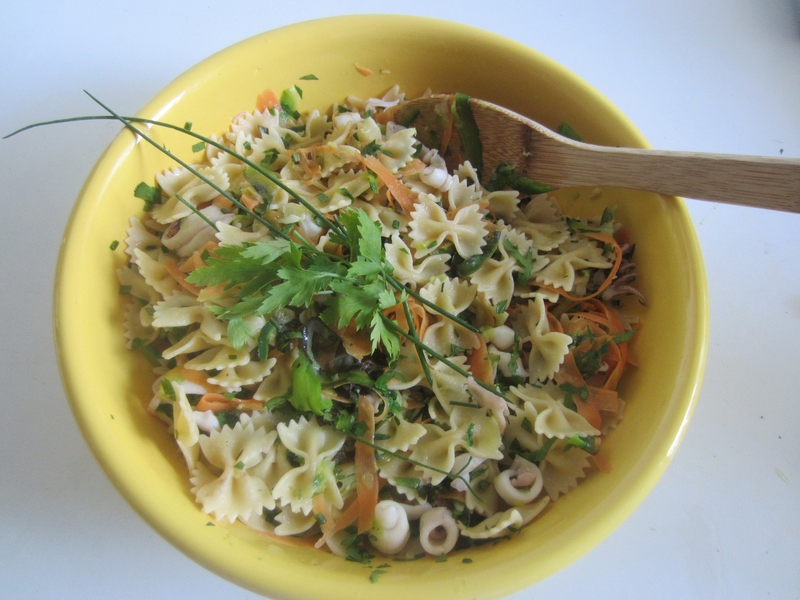 250 grams of pasta ( penne, farfalle … ), 10 medium-sized calamari/squid or 5 large , 2 medium carrots , 2 medium zucchini, 1 bunch of arugula, basil, chives, plenty of parsley, 6 tablespoons of extra virgin olive oil, the juice and the grated zest of 1 lemon, salt to taste . 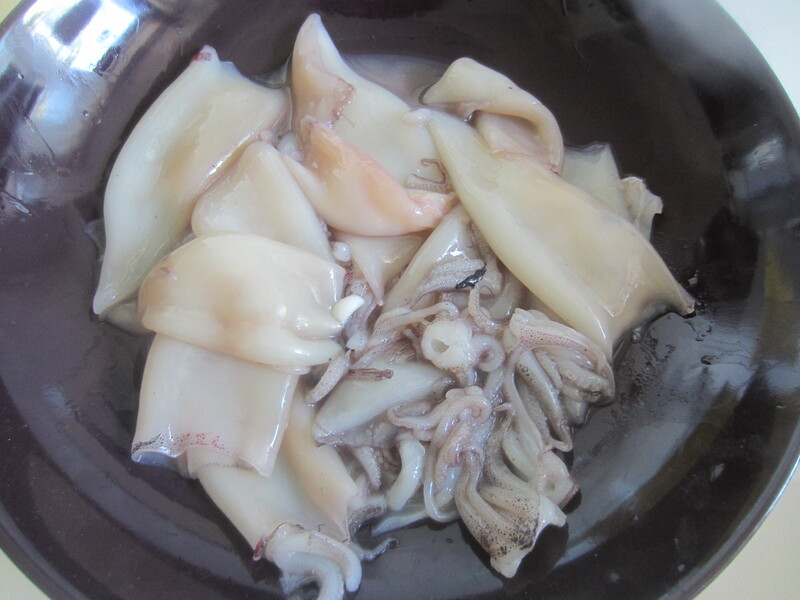 First , clean the squid by removing the skin, the internal parts and the mouth (or buy them already cleaned ) . Then wash them and cut into slices . 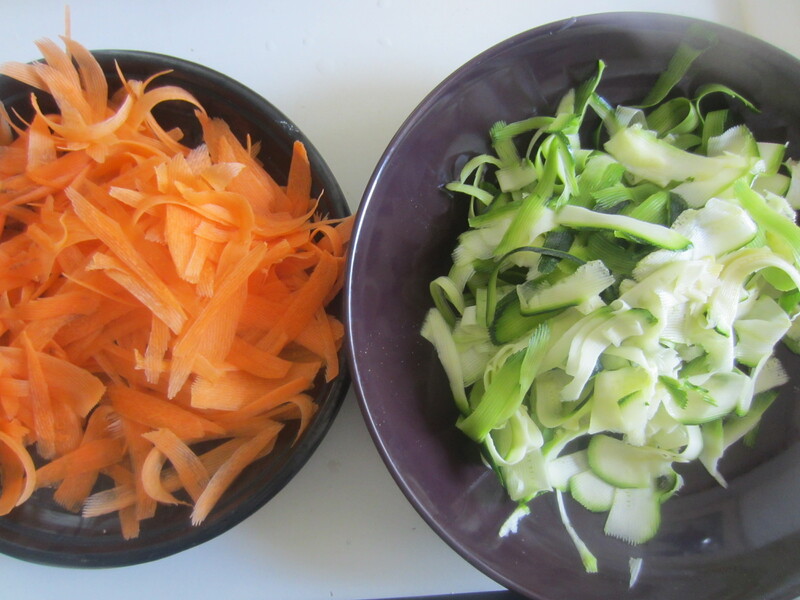 With a potato peeler cut in thin slices both carrots and zucchini. Chop well all the herbs: parsley , basil and chives. 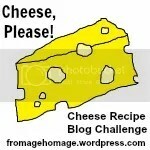 Grate the lemon zest . In a large bowl, add 2 tablespoons of olive oil and arugola leaves . 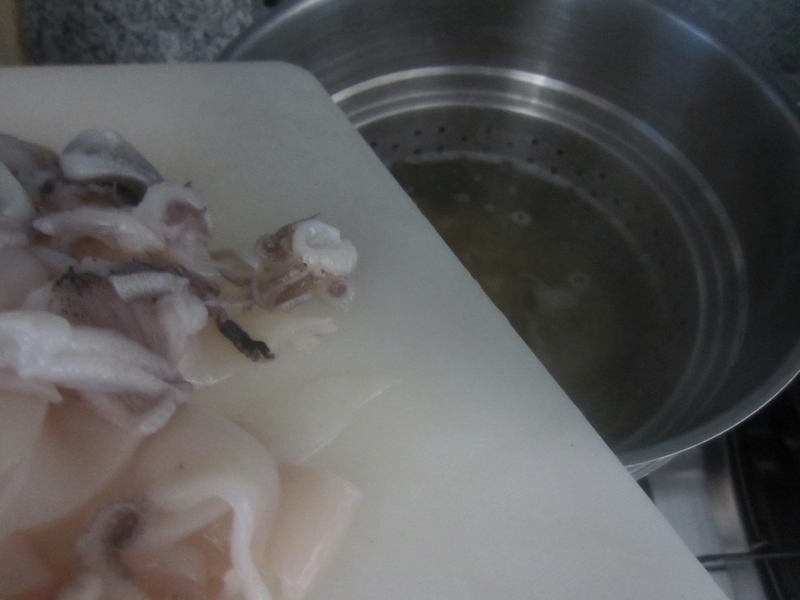 Cook the pasta in boiling salted water , and after 2 or 3 minutes add slices of calamari and stir. 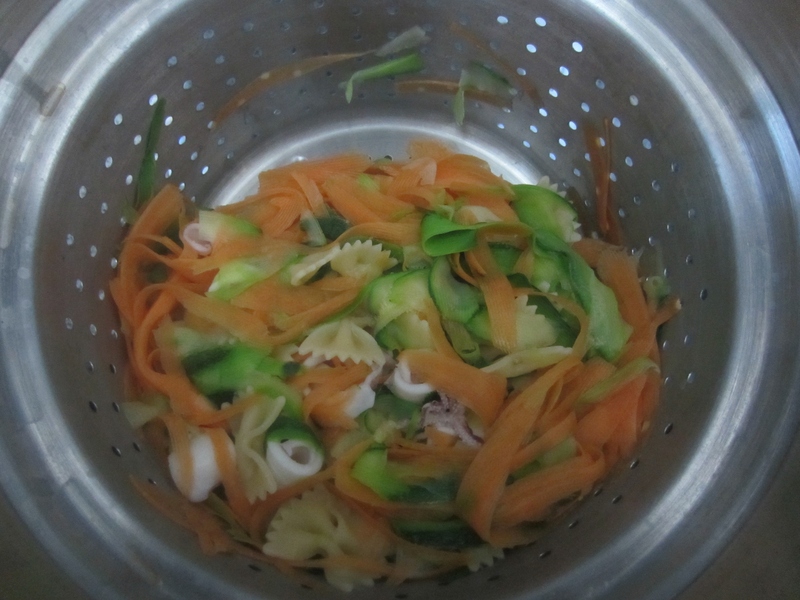 When there are about 4 minutes at the end of the cooking time for the pasta al dente , add the zucchini slices and after a couple of minutes even carrots slices. 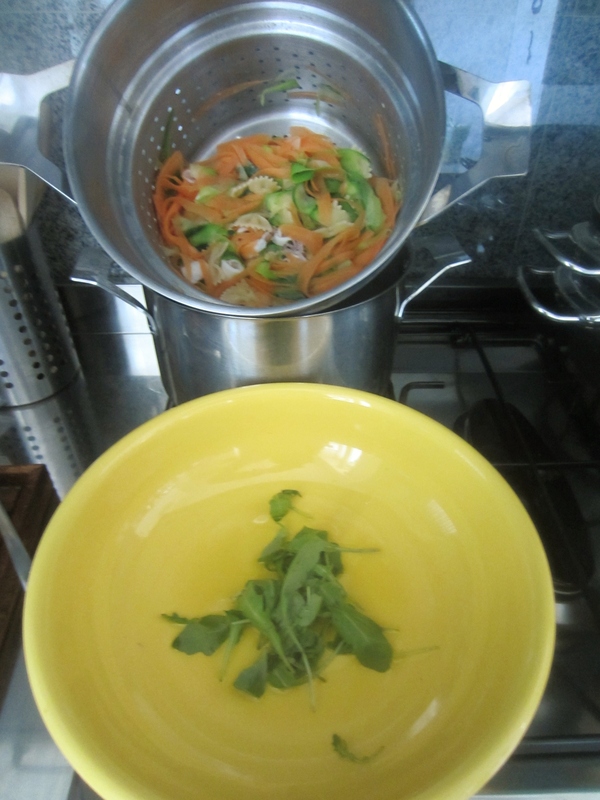 Drain thoroughly and pour it into the bowl with the arugula and oil. Stir and add the grated zest and juice of the lemon. Stir again , then add another 4 tablespoons of extra virgin olive oil. Finally, add the herbs and stir again. 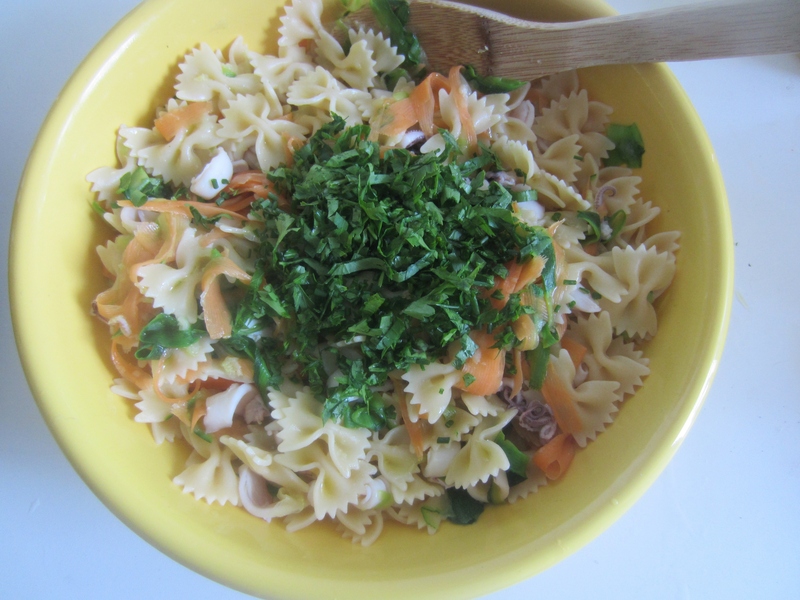 Let stand for an hour before serving and garnish with a few sprigs of parsley and some chives.